This is a chart of stringed instrument tunings. Instruments are listed alphabetically by their most commonly known name. A course may consist of one or more strings. Instruments using reentrant tuning (e.g., the charango) may have a high string before a low string. Instruments strung in the reverse direction (e.g. mountain dulcimer) will be noted with the highest sounding courses on the left and the lowest to the right. A few instruments exist in "right-hand" and "left-hand" versions; left-handed instruments are not included here as separate entries, as their tuning is identical to the right-hand version, but with the strings in reverse order (e.g., a left-handed guitar). Strings within a course are also given from left to right, facing the front of the instrument, with it standing vertically. Single-string courses are separated by spaces; multiple-string courses (i.e. paired or tripled strings) are shown with courses separated by bullet characters (•). Pitch: Unless otherwise noted, contemporary western standard pitch (A4 = 440 Hz) and 12-tone equal temperament are assumed. Where more than one common tuning exists, the most common is given first and labeled "Standard" or "Standard/common". Other tunings will then be given under the heading "Alternates". Taishogoto, Bulbul-tarang, Benju Germany & Austria / Japan / India / Pakistan There are also a number of drone strings, the number and tuning of which vary widely. Ekonting, Bunchundo, Econtin, Konting Senegal Often strung with fishing line. A rare 4-string version also exists. No standard tuning; tuned to any convenient note. Imzad Niger, Mali, Algeria Horse hair string. E2 A2 D3 G3 B3 E4 Vienna, Austria Rare. Tuning is same as guitar. Chord zither USA Instruments with additional strings exist (from 37 - 48 totalstrings), but are very rare. D4 D5•A4 A4•D5 D5 Baglama, Baglama Saz, Baglamadaki Greece Standard AKA "Modal D"
A2 A1•D3 D2•G2 G2•C3 C3•F3 F3 Mexico True 10-string bajo quintos are made, but many so-called "bajo quintos" are really bajo sextos with the lowest course removed. Mexico In practice the bottom course is often removed(2 strings), making the instrument effectively a bajo quinto. E3 E3 A3 Alto Russia See Ekkel (1997) for all Balalaika tunings. Prima Russia A more recent development, professionals consider these inferior to 3-string instruments. A3 A3 D4 Secunda Russia Often just a prima with altered tuning, though slightly larger secundas are also made. F♯3•B3 B3•E4 E4•A4 A4 A4•D5 D5 D5•G5 G5 G5 Philippines One octave higher than the Philippine laud. one octave higher than the laud. E1 A1 D2 G2 US The Cello banjo is sometimes called "bass banjo", but it is tuned differently, and there are true bass banjos as well. C2 G2 D3 A3 "bass" banjo US Same as used for the cello. 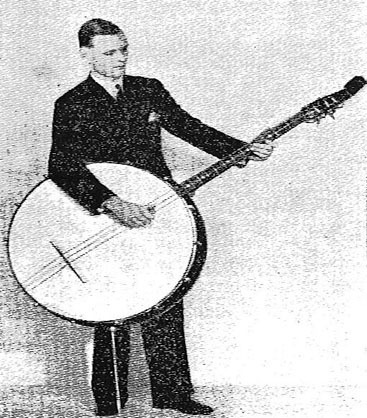 G3 D2 G2 B2 D3 banjo cello US One octave lower than 5-string Bluegrass Banjo. Open D AKA "Graveyard," "Reuben"
Guitar AKA "Old G," "Sandy River Belle"
There are dozens of other, less common tunings. C♯3•F♯3•B3•E4 E4 Bisernica Balkans The prim has 5 strings; there is another bisernica which has 6 strings. E3•A3•D4 D4•G4 G4 Tamburitza Croatia, Serbia, Hungary, Slovenia Other courses are sometimes doubled. C3 C4•F3 F4•A3 A3•D4 D4 Tetrachordo bouzouki Greece Standard AKA "F6 tuning"
D3 D4•A3 A3•D4 D4 Trichordo bouzouki Greece Standard AKA "F6 tuning"
Kontra Croatia, Serbia, Slovenia First course is sometimes not doubled. D2•G2•C3 C3•G3 G3 Celo, Csello, Cselo Croatia, Serbia, Slovenia The traditional 19th century instrument, developed by Jankovic Farkas, now virtually obsolete. Common C6/Am7 or "Bolivian" tuning, but there are many variants. 3rd course is an octave pair. Grand Charango, Hatun Charango, Peruvian Charango Peru A recent addition to the charango family. Andean Region Standard AKA "Argentine tuning" or "G6 tuning", one fourth lower than the charango. Very similar in appearance to the charango, but slightly larger. Chaghyr, Chagur, Chugur, Choghur, Chungur, Chunguri Georgia [*]There are many tuning variations. Note that both examples here are re-entrant. B3 E3 Albania Common tuning, there are variants. Cimbál, cymbalom, cymbalum, ţambal, tsymbaly and tsimbl, santur, santouri, sandouri Hungary * String number varies with size of instrument; bass courses are usually triple strung and higher courses typically quadruple strung. Range given is for a Concert Grand; other sizes with smaller, and with more extended ranges exist. Only lowest and highest octaves are given; intervening notes are tuned chromatically. North-western Venezuela Standard a.k.a. "Sanara tuning"
Celtic or Flatback Cittern Europe Many other modal tunings have been described for citterns. Alto Cuatro Puerto Rico Rare. Bass Cuatro Puerto Rico Rare. Cuatro Tradicional, Cuatro Tenor, Cuatro Puertorriqueno, Cuatro Aviolinado, Cuatro Moderno, Tenor Cuatro Puerto Rico The Tenor Cuatro is the standard instrument of the Puerto Rican Cuatro Family. Cuatro Venezolano Venezuela Standard AKA "D6 tuning"
Soprano Cuatro Puerto Rico Rare. Vietnam * There is no fixed tuning: one string is tuned to a convenient vocal pitch, the other is tuned a 4th, a 5th or (rarely) an octave above that. D2 A2 D3 A3' Bass Ruan China lit. "large Ruan"
Dadihu, Dahu, Ziaodihu, Zhongdihu China A larger version of the Erhu. Either tuning may be considered standard. G1 D2 G2 D3' Contraass Ruan China lit. "low pitched Ruan"
Dutar Uzbekistan This instrument is found in many forms throughout central Asia. Bass, bass fiddle, contrabass, string bass, standup bass, doghouse Europe Standard AKA "orchestral tuning"
A3 A3•D4 D3 D3•G3 G3 Dramyin, Dramnyen Bhutan and Tibet Standard AKA "Bhutanese tuning"
A3 A3•D3 D3•G3 G3 Dramyin, Dramnyen Bhutan and Tibet Standard AKA "Tibetan tuning"
Most dulcimers are either 3 or 4 course; any or all courses may be doubled with a second, unison string—hence the number of different stringing possibilities. Alternates listed here give a pitch for each whole course, regardless of number of strings. Many variants are used; there is no fixed "standard" for the four-course. Chromatic instruments exist, but traditionally dulcimers are fretted in diatonic intervals: whole (step), whole, half, whole, whole, whole, half. France Typically three fretted strings; three drones, but the number of drones may vary widely. [*] Faglong, Fuglung, Hegelong, Kutyapi, Kutiapi, Kotyapi, Kotapi, Kudyapi, Kuglong, Kadlong, Kudlong, Kudlung, Kusyapi Southeast Asia [*] There is no "standard" tuning. One string is tuned to any convenient pitch, and the other is tuned one octave higher. Violin, Kit, Pochette Europe, USA "Fiddle" describes a playing style more than a unique instrument; a fiddle is just a violin with a slightly different "set-up". A3 E3 A4 The Balkans 3 playing strings, with up to 10 sympathetic strings. G3 D4 G4 D5 Soprano Ruan China Literally "high pitched Ruan"
Ukutar US, Japan Tuned a 4th or a 5th higher than the standard guitar. "Lute tuing" is usually capoed on 3rd fret to give G2 C3 F3 A3 D4 G4, and E2 is often dropped to D2 (F2 with capo). There are hundreds of alternate guitar tunings; whole books have been written on the subject. A1 B♭1 C2 D2 E2 F2 G2 A2 D3 F3 A3 D4 F4 Archguitar, altgitarren, Bolin guitar Sweden This instrument is very rare. US Van Eps AKA "Jazz tuning"
B1 E2 A2 D3 G3 B3 E4 A4 8 string classical guitar Spain AKA "Galbraith tuning"
F♯1 B1 E2 A2 D3 G3 B3 E4 A4 [*] US * These short-scale, extended range instruments are uncommon, and tuning hasn't really been standardized for them. All 6-string alternates may be adapted to 12-string. Twelve-stringed Guitar US? Some players tune the third course to unison G3's to minimize breakage of the high G string. US There really is no "standard" tuning for baritone guitar; choice of tuning depends on instrument, stringing, and player's preferences. Bass, electric bass, 5-string bass Essentially a 4-string bass with one added high or low string. Choice of tuning depends whether the added string is low or high. Bass, electric bass, 6-string bass, Contrabass Guitar Essentially a 4-string bass with either added high and low strings. E2 E1•A2 A1•D3 D2•G3 G2 Eight-string bass guitar, 8-string bass US Essentially a 4-string bass with each string doubled at the upper octave. E2 E2 E1•A2 A2 A1•D3 D3 D2•G3 G3 G2 Twelve-string bass guitar, 12-string bass US Similar to an 8-string bass with doubled upper octaves. E3•A3•D4•G4•B4•E5 Piccolo Guitar, Soprano Guitar Germany One octave higher than the standard guitar. Guitarren laute, Guitar-lute, Lute-guitar Germany Basically this is a lute-shaped guitar; a guitar neck on a lute body. B1 E2 A2 D3 G3 B3 Argentina A 6-string acoustic bass guitar. 5 courses + 4 open "diablitos"
Chile 4 short, unfretted strings are known as diablitos (little devils). Number of strings in 3rd, 4th, & 5th courses may vary. C3 • G3 • D4 • A4 US Same tuning as tenor banjo, mandola. G2 C3 F3 B♭3 D4 G4 Tertz Guitar, Tierce Guitar, Third Guitar Italy, Germany A minor third higher than standard guitar tuning. sol la do re mi sol la China Guqin music uses no absolute pitch so tuning varies. Standard AKA "Oppstilt bas" : More than 80% of music written for this instrument uses this tuning. There are many other variant tunings, most of them uncommon. Clàrsach, Folk Harp, Lever Harp British Isles * Number of strings varies, generally between 19 and 40; 34 strings is typical. Not all models have levers. Only lowest and highest octaves shown. Tuning proceeds through ​4 1⁄2 octaves using the C diatonic scale. Virginal, Spinet, Clavicytherium, Ottavino, Pedal Harpsichord, et al Europe (Belgium?) Many variants exist having differing number of keys, multiple keyboards, pedal boards, choirs of strings, etc., and they may have anywhere from about 120 to many hundreds of strings. Tuning is given for a typical single-keyboard, 5-octave instrument, for the main choir of strings. Only lowest and highest octaves are shown; intervening notes are tuned chromatically. Often tuning is in some musical temperament other than 12-tone equal temperament (common on modern pianos). Beggar’s lyre, Crank lyre, Cymphan, Forgolant, Organistrum, Symphonia, Wheel fiddle, Wheel vielle France Stringing is given in reverse order, owing to the orientation of the instrument while playing. The first one (or two) strings are melody strings; others are drone strings. Other regional tuning variants exist. (E • B) Ikili Tuva, Mongolia Pitch varies depending what other instruments the Igil is playing with, but the two strings are always tuned a 5th apart. Bouzouki, Octave Mandolin, Tenor Mandolin (US), Tenor Mandola (UK), Zouk Ireland Irish bouzouki is an octave mandolin with the two lowest courses tuned in octaves instead of unisons. "Modal D" octaves can also be tuned in unisons. Where octave doublings occur will often differ depending on the size of the instrument. The larger instruments commonly double the middle courses at the octave. A♯• B •C♯ •F• F♯ Indonesia Uses a gamelan pelog scale. Tuning is approximated to western notation. G4 G3•C4•D4 D3•A3•D4 D4 Qonqhota, Ponputu, Mokholos, Machus South America Strings/courses are usually 8/5 but 7/5, 9/5, 10/5 or 11/5 variations exist. B2 E2 A2 D3 F3 B3 Sardinia, Italy. Kokle, Kūkles, Kūkle Latvia Since the 1980s the most common tunings for 11-stringed kokles among kokles players. West Africa Scales roughly correspond to Western major, minor, and lydian scales, but are not in equal temperament. Any of the scales may be considered "standard". Tuning depends on the piece being played. A4 is closer to 430 Hz than to the western standard (440 Hz), and intervals are in just intonation and not equal temperament. In some tunings alternate choices are available for strings 6 and 11 (indicated with a slash); whatever note is chosen these strings are always tuned one octave apart. Laghouto Greece Standard a.k.a. "Mainland"
G3 G4 • C3 C4 • E4 E4 • A4 A4 Li'liu, Taropatch, Tenor Ukulele Hawaii Double-strung tenor ukulele. Vietnam Originally a 4- or 5-string instrument; today often nearly identical to a 6-string western guitar, except for having a scalloped fingerboard and one less string. "Standard" identical with the common western guitar. Day Lai a.k.a. "aculturated tuning"
Day Sai Gon a.k.a. "Saigon Tuning"
Bass Mandolin Europe The alternate tuning (2 octaves below the mandolin) is usually applied to a smaller-scale instrument (see Mandobass). The alternate tuning (2 octaves below the mandola) is usually applied to a smaller-scale instrument (see Mandobass). Tremolo-bass Europe Relatively rare; larger than the standard mandobass. Standard tuning is 2 octaves below the mandolin. Alternate tuning is 2 octaves below the mandola. C2 C2•G2 G2•D3 D3•A3 A3 mandolincello, mandoloncello Standard tuning is 1 octave below the mandola. C3 C3•G3 G3•D4 D4•A4 A4 Tenor mandola (Europe) A 5th below mandolin tuning. G3 G3•D4 D4•A4 A4•E5 E5 Mando Standard instrument of the mandolin family. G3 G3•D4 D4•A4 A4•E5 E5 USA and Canada A guitar-shaped mandolin, or mandolin neck on ukulele body. Tenor Mandolin, Irish Bouzouki, Octave mandola (Europe) Pitched 1 octave below the mandolin. C4 C4•G4 G4•D5 D5•A5 A5 Brilliant tone mandolin Tuned a 4th above the mandolin; 1 octave above the mandola. Mejorana, Rumbo Panama Either tuning may be considered "standard." No standard [*] Yakumogoto Japan [*] Strings are tuned in unison, to any pitch convenient for vocalist. Sweden Number of sympathetic strings may vary. Sweden This instrument is of very recent invention. Subcontrabass, triple bass France Extremely rare. Extant instruments tuned variously. USA Any of the tunings may be considered "standard". Ud, Al-Ud, Oud Arbi Middle East Standard AKA "Arabic tuning"; notated a 4th higher in ME notation; one octave higher in western notation. Soprano Viol Europe A member of the viol family. A rare 6-string version adds a G3 below the low C string. Imperial Grand, 290, Bösendorfer Austria * About ​2⁄3 of courses are triple strung; some lower courses are double strung; the remaining bases are single strung. All multi-strung courses are tuned to unisons. Only lowest and highest octaves are shown; tuning of the intervening notes is chromatic. These extended-range pianos are very expensive and uncommon. Guitarra Portuguesa Portugal Either tuning may be considered "standard". C3 F3 A3 C4 Afri-can, Kitaar South Africa Typically these are homemade, and therefore quite variable. Andean Region [*] Instrument is still new enough that no one "standard" tuning has emerged. Chilean tuning (also a variant in Bolivia), one octave below the charango, is very common. Chilan variants (various octave doublings on courses 3, 4, and 5) depend on stringing—thinner strings are required for the high octaves in doubled courses. Argentine G6/Em7 tuning is also popular, which basically raises the pitch to that of the charangón. semistrunnaya gitara, semistrunka Russia There are many variant tunings, mostly idiosyncratic to individual performers. Dangubica, tambura Balkans Tuning is flexible, but the courses are always a fourth apart. Sanhsien, Large Sanxian, Xianzi, Quxian, Shuxian, Chinese Banjo China Other size variants exist, but are uncommon. North India 4th string can be tuned to C. Sympathetic (resonating) strings are tuned to the raga being played. Dulcitar, Dulcimer stick, Strumbly, Standard Strumstick US Other sizes exist. General tuning is Root-5th-Octave, but the variations used are endless. Scholander lute Sweden Other versions exist, mainly differing in the number of bass strings. Tanpura, Tampuri, Tamboura, Taanpura India *Classical Indian music has no absolute pitch. "Do" is tuned to a convenient note for any singers, or for the Raga being played, and the other strings are tuned relative to that reference. Lili'u, Li'liu, 6-string Tenor Ukulele Hawaii C6 tuning Tenor Ukulele tuning with courses 1 and 3 doubled. Tiple ukulele, Martin Tiple US The D and F♯ are triple-strung; the other strings are paired. Tiple Requinto Colombiano Colombia Triple strung: smaller than Tiple Colombiano, and central lower octave strings are replaced with unisons. Tres, Tres Puerto Rico Puerto Rico Note that alternates simply change the location of the octave doublings. Baritone Uke, Bari Uke Hawaii Same as 4 highest-pitched guitar strings. Bass Ukulele, Bass Uke US Same as bottom four strings of the guitar. A relatively new instrument; unlike the UBass (see below) it has sufficient volume to be played acoustically, and sounds more like a uke than a bass. Bass Uke, Contrabass Ukulele, Rubber Bass, Travel Bass, U-Bass US Same as bass guitar. A relatively new instrument that has to be amplified to be heard; tone is much like a double bass. Compared to the acoustic bass uke (see above), this is really a contrabass instrument. Uke Hawaii Often just a soprano uke with a slightly longer neck—15, 16 or 18 frets, as opposed to 12 or 13 frets. Uke Hawaii The standard, basic ukulele. Traditionally, D6 tuning was used though C6 tuning is now most common. Vina, Saraswati Veena; Sawaswati Vina South India Pitches are approximate: does not use the western equal tempered tuning system. Mexico This is the modern Mariachi instrument. Vihuela also refers to many historic antecedents of the guitar, in various configurations, most of them currently obsolete. Europe Pitched a 5th below the violin. Austria Only lowest and highest octaves are shown; tuning of the intervening notes is chromatic. D3 A3 D4 A4' Alto Ruan China lit. "small Ruan"
Guzheng, Gu Zheng, Pinyin China Tuning is not absolute, and is not limited by Western equal temperament. Zhengs also come with varying numbers of strings, typically from 16-26; the pentatonic tuning is extended to accommodate these extra (high and low) strings. China Either tuning may be considered "standard". This is the standard/most common instrument of the five-member ruan family. Alpine Zither, Harp Zither Austria, Germany, elsewhere. Standard Tuning AKA "Munich"
Concert Zither, Fretted Zither America, Germany, elsewhere. Standard AKA "Munich"
See also Autoharp which has diatonic and chromatic open strings, and a stop mechanism to produce chords. ^ Marcuse, Sibyl; Musical Instruments: A Comprehensive Dictionary; W. W. Norton & Company (1975). ^ Randel, Don Michael, Ed. ; The New Harvard Dictionary of Music; Cambridge, Massachusetts: The Belknap Press of Harvard University Press (1986). p. 211. ^ Backus, John; The Acoustical Foundations of Music; New York: W. W. Norton & Company (1975). ^ Ekkel, Bibs; Complete Balalaika Book; Mel Bay: Pacific. Mo., 1997. pp.xiv, 92. ^ Smith, Eric; Piano Care & Restoration; Blue Ridge Summit, Penn. : TAB Books, Inc. (1981). p. 60.